If you wear prescription eyeglasses or sunglasses, chances are you’ve touched an Essilor of America product. The Dallas-based company is the leading manufacturer of optical lenses in the U.S. 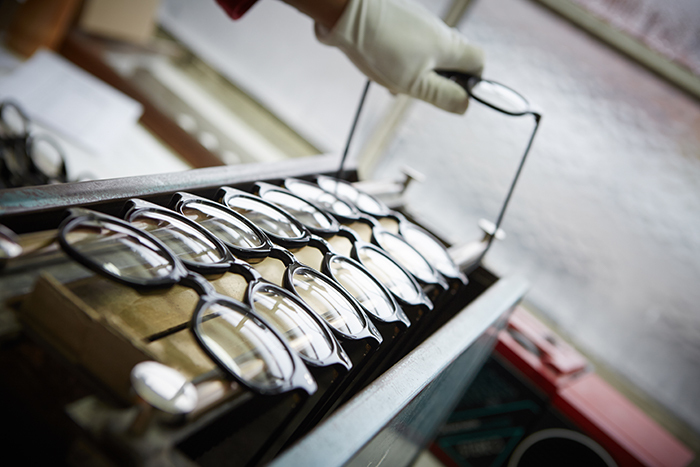 The brand has seen phenomenal growth over the past two decades as Essilor expanded from a small, family-style company into an optical giant with about 8,500 employees across North America. As the company grew, the close-knit feeling that’s key to Essilor’s success had become harder to maintain, said Holly Gillentine, Vice President of Corporate Communications. 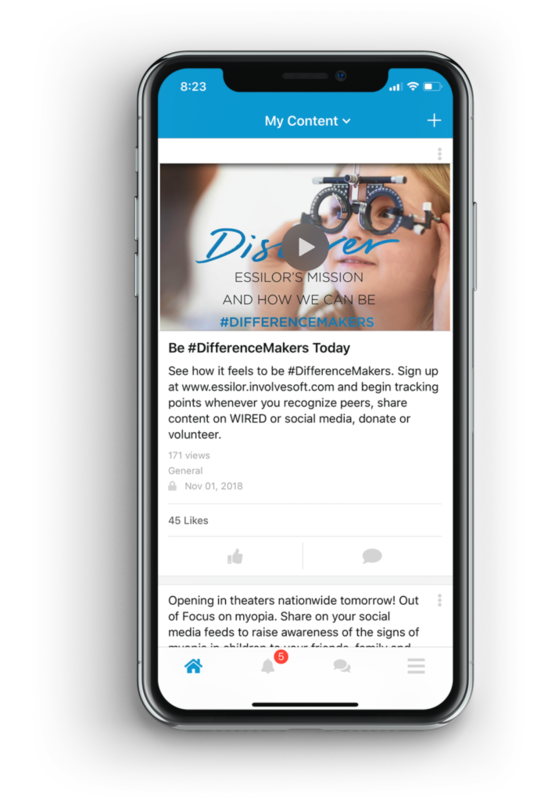 It started with making sure that messages reached all employees in the way they prefer, so they are always the first to know about Essilor initiatives, added Matt Tackman, Senior Vice President. Wired, powered by Dynamic Signal, is the platform Essilor implemented to streamline employee communication, create richer connections throughout the company, and promote the brand to a broader audience. Lina Betancourt, Manager of Internal Communications, said employees rely on Wired as an easily accessible “rendezvous” point for everything happening at Essilor. She notes that there has been a 25 percent increase in the number of employees receiving company information since launching Wired. 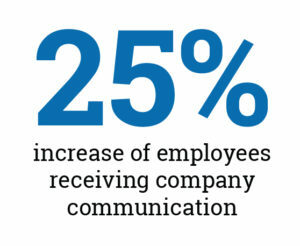 Wired is a way for leadership to communicate directly with employees. There’s a video series featuring personal stories from company executives. The platform also has a weekly “Leaders Corner” where executives answer questions submitted by employees – ensuring their voices are being heard. Employees are able to take the success stories they see on Wired and post them on their personal social media channels – spreading the word about why Essilor is a special place and the great work done to improve the sight of millions of people. One example was a #showusyourshades campaign in June of 2018 where employees submitted photos of themselves, friends, family, and even pets wearing sunglasses. It was a fun way to put employees are the forefront of a campaign highlighting Essilor expertise in eye protection. 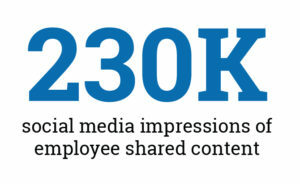 Essilor employees have generated 230,000 impressions on social media by sharing content posted on Wired – amplifying the company’s message. That’s the magic of having a platform that enables employees to communicate with one another and better understand the Essilor vision. “It’s actually quite hard to imagine going back to a world where we don’t have that direct connection with our employees,” Gillentine said.